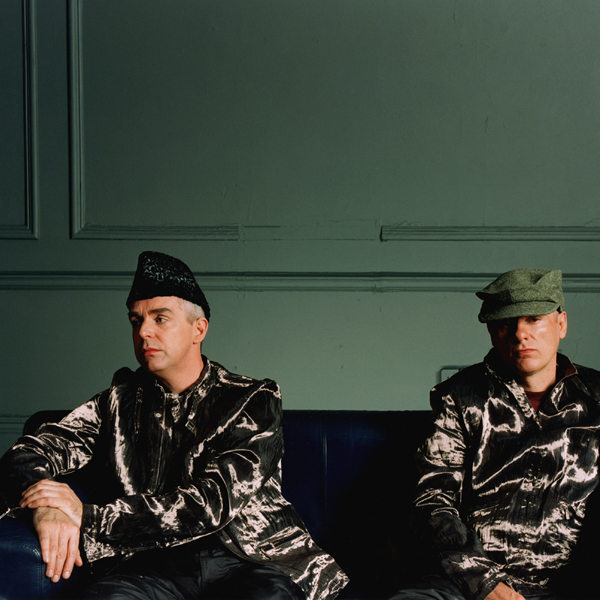 On July 19, the Pet Shop Boys release a new single, "I don't know what you want but I can't give it anymore", recorded in New York that March and co-produced by David Morales. 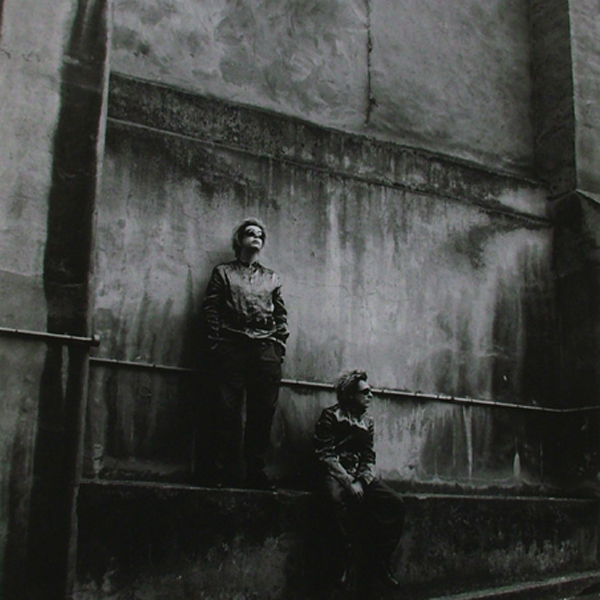 "It's about the end of a relationship between two people," says Neil, "Where they are no longer communicating. They don't understand each other." Chris offers his own, perhaps not entirely accurate, interpretation. "It's about someone being a bit demanding," he suggests. "Not doing the washing up and stuff." In its video they are seen being transformed into their new look, developed with the theatre designer Ian McNeil, whose work they have admired on productions of An Inspector Calls and Machinale. They have decided that as the songs on their new album were less personal – "the lyrics are not necessarily reflections of me, Neil Tennant," Neil says – they will now appear less naturalistic. This new appearance is partly inspired by a picture they saw in a magazine of Japanese men wearing samurai trousers. "We didn't want the look to be just fashion, we wanted something that had an element of ritual in it," they explain. "We just talked through ideas and we came up with a slightly samurai based look. I like the way it has a slightly ceremonial look about it. It makes you feel very different when you're wearing it, and sometimes when you're performing its good to feel bigger, or different, then yourself. And, also, it makes people look at you." On the morning of August 11 a small area in South-West England experiences the first total solar eclipse over the British mainland for over 70 years. 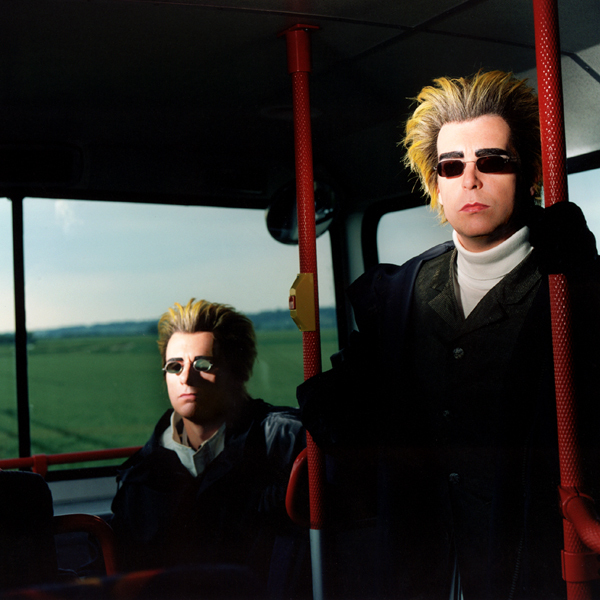 The Pet Shop Boys travel to Cornwall to perform at a Radio One roadshow; it is cloudy. More significantly, they have also written a new piece of music, an instrumental called 'Casting a shadow' over which Neil has sung 36 tracks of wordless choir vocals, to be broadcast on Radio One during the actual eclipse itself. After a 40 second introduction the music then changes to offer an appropriate accompaniment of the two minutes two seconds of totality. On August 28 the Pet Shop Boys are the only group on the bill at the huge dance music festival Creamfields, an all-day and all-night event which takes place on a site near Liverpool. Their set is modelled on a Victorian drawing room (an idea inspired by the room in the "I don't know what you want…" video) and there are also two TVs on stage, one of which is showing Spartacus, the other The Elephant Man. Les Childs dances along in a frock. Many of the songs have been rearranged in more stretched-out and percussive versions just for this one concert. On September 27, the Pet Shop Boys release a new single, "New York City boy", a song written during a recording session in New York with DJ and producer David Morales, who suggested they do a big disco anthem like the Village People. "I said, 'oh, alright then, we'll call it "New York City boy"'," Neil recalls. "The song is just about a teenager living in the suburbs of New York – Brooklyn or Queens or Westchester or somewhere like that. He's at home, and he's had exams at school, and it's Saturday morning and he's playing his punk rock records, his Green Day records. And he goes into New York. He wants to get out of doing homework and being at home, and to go out and hang around Times Square and the centre of New York and look at all the girls on the street and look in the shop windows. And then, when dusk starts to fall, you can feel the pace of the city change. It's a song about how fab New York is." Its video, shot in London and New York, shows the boy in question set against various memorable New York eras: sailors returning home in the late Forties, the West Side Story Fifties, the Studio 54 late Seventies and the breakdancing early Eighties. On October 11, the Pet Shop Boys release their new album, Nightlife, which includes twelve new songs. The songs are variously produced by Craig Armstrong, Rollo, David Morales and the Pet Shop Boys themselves. On one song, "In denial", Neil duets with Kylie Minogue. "In terms of its theme, the album reminds me in some ways of one of those Frank Sinatra albums from the Fifties like In The Wee Small Hours Of The Morning." Neil says. "It's sort of modern pop-dance version of one of those, really, where a lot of the songs are about relationships, or waiting for your lover to come and see you, or wondering why something went wrong and a lot of it seems to happen at night, when people's perceptions of life are different. In the middle of the night things seem more exaggerated – something bad seems worse, something good seems better. The album begins with 'For your own good', and in that song, it's not really Neil Tennant singing it but a woman whose lover is out getting wrecked every night. She's at home, waiting for her loved one to come and see her. On the final song, 'Footsteps', the lover hasn't returned. He obviously did go clubbing. Again. The woman is at home, waiting, and the guy is in the club. And the record is on both sides. It understands both points of view." On October 20 the Nightlife tour, during which the Pet Shop Boys will visit America, Canada, Germany, the Czech Republic, the United Kingdom, Spain, Switzerland, Austria, Sweden, Norway, Denmark, Belgium and France, opens in Miami at the Jackie Gleason Theater of the Performing Arts. The remarkable and innovative stage set and design is by the celebrated architect Zaha Hadid, who they have asked to design a show with modular structure that could fit in venues of different sizes; the costumes are by Ian MacNeil; the lighting design is by Marc Brickman. Onstage they have four male backing singers and Sylvia Mason-James, and on "What have I done to deserve this?" Neil is joined by the disembodied voice of Dusty Springfield whose image is projected onto the back of the stage. For the first half of the show they wear their longer wigs; for the second half, short ones.